Dress the men to look their best! Make sure the groom and his party are expertly dressed for the big day! 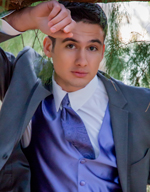 Our wedding tuxedo and and formalwear vendors in Las Vegas can create the right look! So you're the groom and you just might get to make the decision on what style of tuxedo you are wearing.... for starters you will need to know whether the wedding formality is informal, semi-formal, formal, or VERY formal! 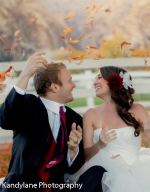 Check out the Las Vegas formalwear and tuxedo shops listed on this page for more information. Jos. A. Bank, the expert in men's apparel, is now the expert in formal wear! With over 550 locations nationwide, Jos. A. Bank is a convenient formal wear choice for any wedding party. Visit us at josbank.com to find a location near you! For your special occasion, MW Tux and Men’s Wearhouse is your formalwear solution. With over 2,000 combinations of colors, patterns and styles, and 1,000 locations nationwide, creating the perfect look has never been easier. To view the entire collection online, or find the nearest location, visit mwtux.com. THE TRUSTED WAY TO RENT A TUX FOR THE BIG DAY. Serving Las Vegas since 1978. Specializing in weddings, Tuxedo Junction has a highly trained staff to insure expert fittings and personalized service. Out of state fittings are never a problem. Tuxedo Junction has an incredible inventory of latest styles with a full time tailor capable of effecting any last minute needs.